I recently bought the airbus x extended box version. I downloaded it by what the manual said and it seemed to work fine. Then when i put my plane into cold and dark state i wasnt able to turn on the external power. Also on the right MCDU i wasnt able to use the checkilst, and i also wasnt able to move the throttle (logitech attack 3). So please help me. Did you try switching ext. power to 'ON' on the overhead panel? There's a switch reading 'ext pwr AVAIL' (or similar). You have to press it (left mouse click) to make it read 'ext pwr ON' (or similar). Next step is to switch both batteries on (on the overhead panel, too): They both read 'off' in cold&dark state. Press both switches (left mouse clicks, too). You need to have external power AND BOTH batteries on first to power up your AXE. To in order for checklist to work. You must be in C&D, taxi state or take off option in the right MCDU. So you are in C&D can you confirm front left door and packing chokes set? If so the EXT pwr on the overhead should light up. For throttle make sure you select SINGLE THROTTLE. Am using 3d pro no problem. 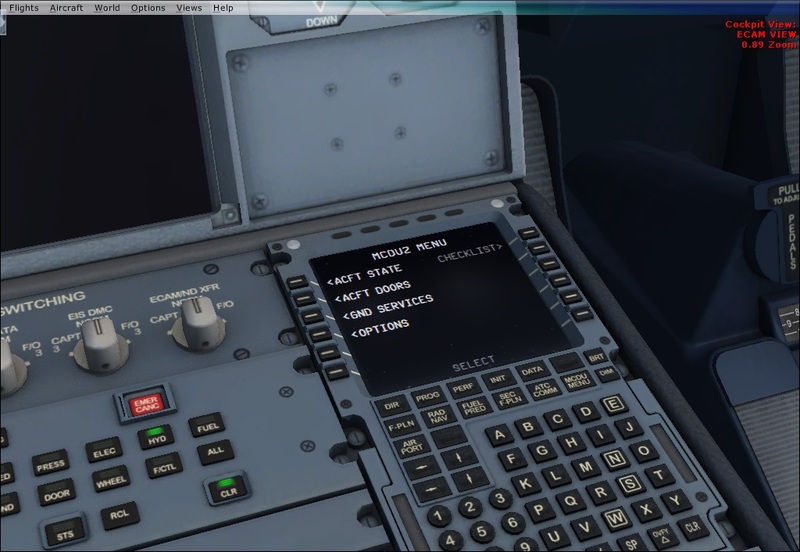 And in fsx control, throttle is set to engines. thank you IAmNice3fy , but it didnt work. this is what my screen looks like when i put my A320 into C&D sate. thank you Airbus X extended , but it didnt wor. 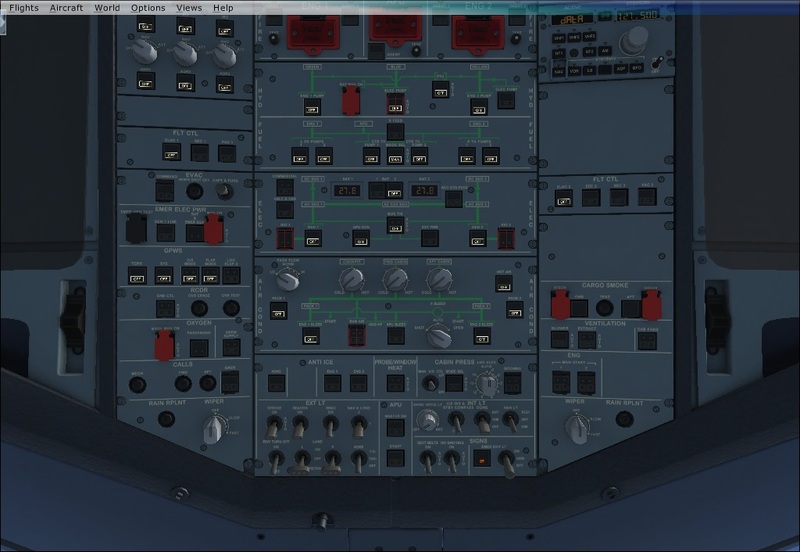 this is what my screen looks like when i put my A320 into C&D sate. Did you start battery 2? For the checklist to work you also need to make sure the front left door is open. so i start up both battries then in open the front left door? The steps I follow in order. This is covered in the documentation for the airbus x extended	Vol6 - Stepbystep . Page 29 Section 5.2 Basic Preperation Procedure. The only thing I do differently is the first line for Fuel planner I generally do that when I have entered my route. I don't see in the procedure where the front door is opened but I generally open the door at the beginning to let the passengers on while I am setting up the cockpit. 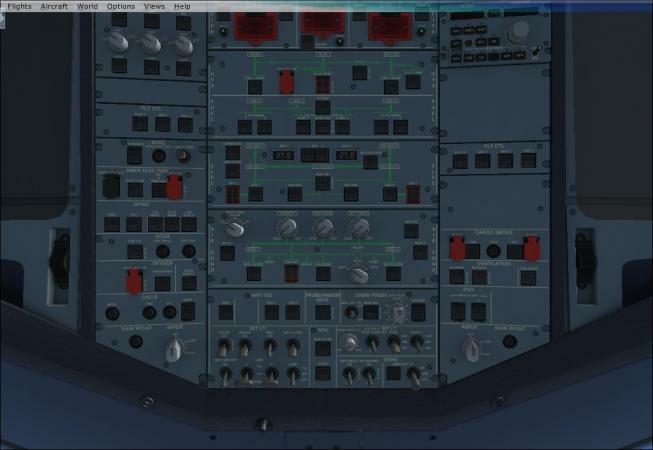 When you start the airbus, does it default to cold and dark ........	when you go to the load aircraft screen the top left option is what you would select to load the cold and dark state if your aircraft is not already at that state. To make it cold and dark by default, click on the top right option where it states Set Def and this will make it cold and dark by default. (Def highlghts in Green) I always start with my airbus automatically loading as cold and dark. The other issue you may have is an issue with the default flight for FSX.....once I saw this was corrupted and effected my airplane and other payware. What you can do is create a new flight,for example with a small aircraft as your default plane. Then save the flight as the default flight without loading the airbus. 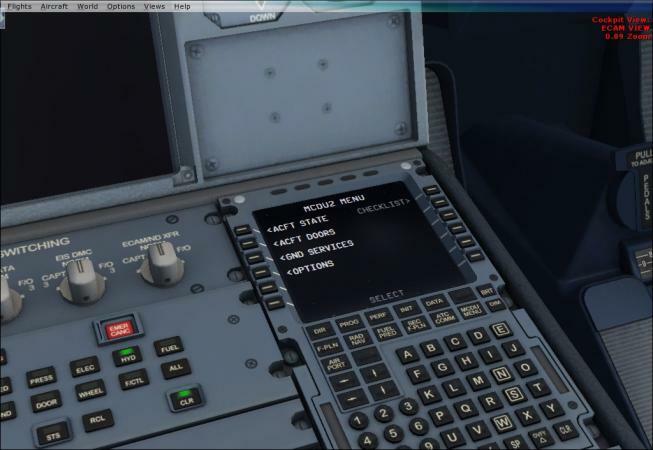 Restart FSX, load up the default flight and then switch aircraft to the Airbus x extended in default cold and dark state as shown above and see if this works. Are you also following the step by step by step guide? In your 3rd screenshot it did not look like you had the ECAM screen active. Do you know what version of the airbus x extended you are on. Maybe you have not updated to the latest version 1.4 yet. If all else fails, have you tried uninstalling the airbus and then reinstalling. Maybe there was an issue during the install? I have seen other issues being resolved by simply doing a reinstall. If that still does not work, perhaps a couple of other screenshots may be needed. When you get to the stage of the checklist not working, can you go into ACFT DOORS and show a screenshot of the DOORS screen. Perhaps there is an issue here. Could you then go to Options screen. If You are unable to click on Checklist from there, print screen the Options screen showing the Checklist option disabled in Options. If you can access Options / checklist, can you screenprint the CHECKLIST OPTIONS screen which should show the same screen as shown on page 24 of the Stepbystep guide. I have cold and dark as my default and could u give me ur step by step cockpit preparation please. In the defined C&D state you don't see the batt 'OFF' lights until you switch on ext. power. So I would do step 2 before step 1. In the defined C&D state the front left door is open already. So messirules700's user-defined startup state is not exactly the C&D state predefined by Aerosoft. messirules700 doesn't have ext power ready to turn on. So there probably is something amiss in messi's startup state. I have no experience in troubleshooting that. Maybe starting from a Aerosoft-defined state would be worth a test, just to find out whether the installation works as it's supposed to do. He made a typo....... he said read step by step. Every game or simulator comes with an instruction manual and the airbus x extended is no different. You need to read the step by step guide which shows you the steps to flying the airbus. Have you found the step by step guide which is a pdf document which came with the airbus? This is the only way of learning how to start up the airbus , fly it and land it. If you do that you will be flying the airbus in no time and know the cockpit start procedure and where to align the IRS among other things. Just meant as a suggestion: How did your AXE work before you defined C&D as your default startup state?